Home Baby Extended breastfeeding: Is it for good you? Nursing past your baby’s first birthday is known as extended breastfeeding. In many countries, it’s considered normal, healthy, and common. However, some people in the United States frown on the practice for cultural reasons. So if you choose extended breastfeeding for your baby, be prepared for rude comments or curious stares. However, there are significant benefits to extended breastfeeding, so don’t let others pressure you to stop. Instead, consider the pros and cons, then do what feels right for you. What are the pros of extended breastfeeding? Even though your child now gets most of his nutrition from solid food, breast milk still provides calories, growth hormones, valuable immunities, vitamins, and enzymes. Studies show that breastfeeding toddlers are sick less often than their peers. When a child gets sick, breast milk may be the only thing he’ll consume. This helps him stay hydrated and boosts his immune system. Breastfeeding is good for your health too. When compared to women who never breastfed, nursing women have lower rates of diabetes, cardiovascular disease, and high blood pressure. As your child becomes more self-reliant, breastfeeding can be an important source of reassurance and emotional support. 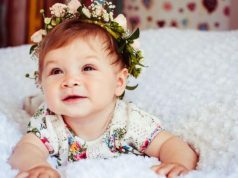 The strong connection your child feels with you while nursing will foster independence, not make him overly dependent or clingy, as some may have you believe. Sometimes people think weaning a child sooner helps him develop a strong sense of self-worth and independence, says Kathleen Huggins, author of The Nursing Mother’s Companion. But forcing a child to stop nursing before he’s developmentally ready won’t necessarily create a more confident child – it could even make him more clingy. If you travel and stay overnight in unfamiliar places, the comfort of your breast may be the best way to ease your child’s fears and make him feel more secure.